Too much eating and drinking can cause "heartburn", which is a form of indigestion resulting to burning sensation in the chest. Most people take over-the-counter medications to manage the discomfort accompanied by heartburn. However, studies show that taking OTC medicines have NO effect on about 40% of people experiencing heartburn. Moreover, symptoms get even worse and occur more frequently forcing them to undergo surgery. In this article, we'll reveal to you a dangerous type of heartburn that is not caused by too much drinking or overeating, including the reason on why such thing happens and the measures you can take to prevent and manage this condition. You'll also learn how to distinguish a dangerous heartburn from the common traditional heartburn and their respective treatments, too. Can Sleeping on Your Left Side of the Body Prevent Heartburn? To prevent the occasional heartburn, it is best to sleep on your left side of the body. Occasional heartburn occurs because gastric juices flow back into the esophagus after eating. Meaning to say, the body is trying to eject the contents of the stomach back through the mouth. The gastric juice is very liquid and strongly acidic, so the esophagus can get hurt from this regurgitation. Look at the photo below and study the position of the stomach and esophagus. Based on the above illustration, sleeping on your left side can make a huge difference in preventing acid reflux. This is because the junction between the esophagus and stomach is above the level of gastric juice, making regurgitation unlikely. But if you try to sleep on your right side, reflux will more likely occur because of the shape of the stomach as shown above. Therefore, if you are occasionally suffering from heartburn, it is recommended that you sleep on your left side. 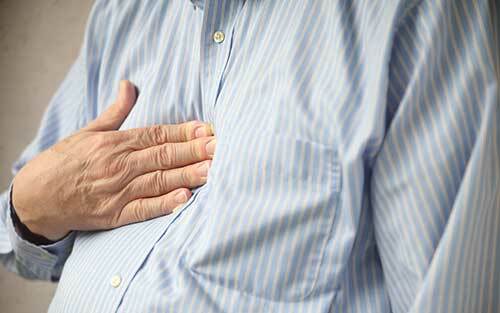 New Type of Heartburn is caused by Backflow of Air!? Now, let's study the new type of heartburn that is NOT caused by acid reflux but by backflow of air. Look at the case study below of two patients suffering from new type of heartburn, which was conducted in Japan. Patient A: Five years ago, patient A had been suffering from an awful chest pain. He changed his diet to a menu of fishes and vegetables. He was taking medicines that were prescribed by a hospital to help suppress the gastric acid. But after a while, the pain becomes stronger and symptoms did not improve. Patient B: More than 10 years ago, patient B began to suffer from heartburn as he was an avid drinker. In an attempt to reverse the flow of gastric juice, he had done many ways like swallowing saliva to neutralize the acid in the esophagus, and through different sleeping positions. However, his heartburn continued to worsen. The two cases above are different from the common heartburn. In fact, doing the usual preventive measures to manage this new type of heartburn can only make it worse. What's the main difference? It appears that unlike the usual heartburn that occurs because of gastric juice flowing backward, the new type of heartburn occurs because of backflow of air, which can then result to belching. In other words, the act of swallowing saliva to neutralize the gastric acid, will only lead to more air entering the stomach, which is not a good thing to do. Even eating foods and drinking water normally can put air in your stomach. Why Heartburn Occurs When There's Only a Backflow of Air? Although you do entrap air in the stomach by swallowing your saliva, the gastric juice is also mixed in. 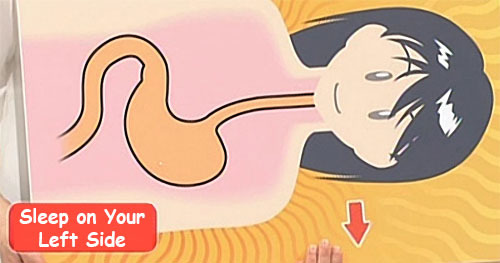 Normally, gastric juice is included albeit a very small amount when belching. This is not supposedly a big deal. However, when one suffers from stress, a foreign matter sensor (TRPV1 protein) in the esophagus will become hypersensitive. This will then result to heartburn. When heartburn occurs, heartburn itself becomes stress, and the hypersensitive state of the sensor will become advanced, resulting to more severe symptoms. This is a vicious cycle and the heartburn will get worse rapidly. Chronic discomfort regardless of after eating a meal. Pain on the upper part of the chest. Over-the-counter drugs don't have much of an effect. No abnormalities are found during endoscopy. So far, taking specific drugs to suppress the hypersensitivity of the esophagus can help. 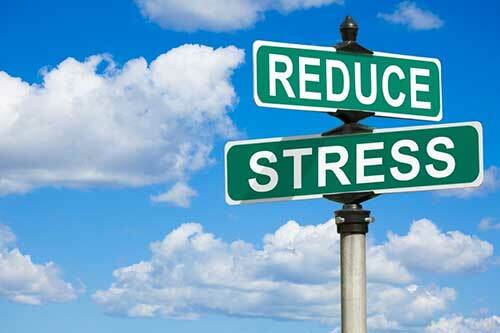 In addition, taking medications for stress reduction, such as mood stabilizers and antidepressants may also be prescribed. These types of drugs however, may have undesirable side effects, so the best way is for you to relieve your stress the natural way! Is your heartburn caused by eating and drinking too much? Here are two great tips that can help you prevent the occasional heartburn. 1. DO NOT eat large amounts of fatty foods. Gastric juice flows back into the esophagus because of "cardia", which is the stomach's opening connected to the esophagus. Normally, gastric juice does not flow back because the cardia is usually tightly closed. However, if you take large amounts of fatty foods, a command will be directed to the brain that will loosen the cardia. As a result, the gastric juice will flow back into the esophagus. 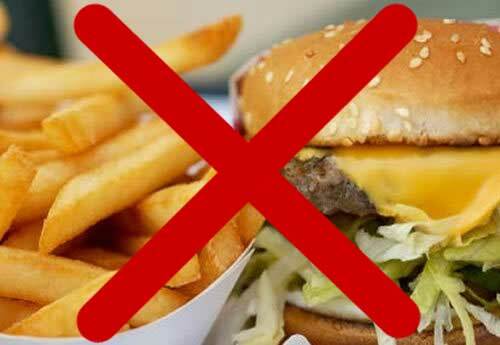 To prevent the backflow of gastric juice, do not eat large amount of fatty foods (fried foods) at once during a meal. 2. Avoid applying pressure in your abdomen. Regurgitation can also happen and affect the cardia if there's an increased pressure applied in your stomach. Therefore, avoid bending or stooping after meals and wear loose belts around your waist especially when eating. 1. "Simple Home Remedy to Relieve Heartburn"